Babydoll Kiss and Blush by Yves Saint Laurent adds a perfect flirtatious pop of color to your lips and cheeks. The blendable, air-whipped mousse formula has a soft matte finish and features an exclusive applicator for precise application and buildable color that goes exactly where you want it to. 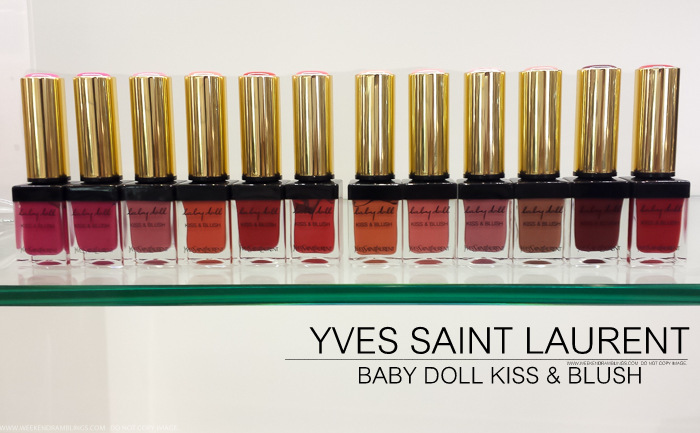 YSL always comes up with some really cool new makeup launches every season, and the latest from the brand is the YSL Baby Doll Kiss and Blush. This is a hybrid of a lipgloss and a blush - a soft matte finish, quite pigmented, and really easy to apply with the soft applicator. Scroll on for more photos and swatches.